Davis Apartments for Rent - UC Davis Student Housing rental communities offer spacious, well-maintained rental units and grounds. 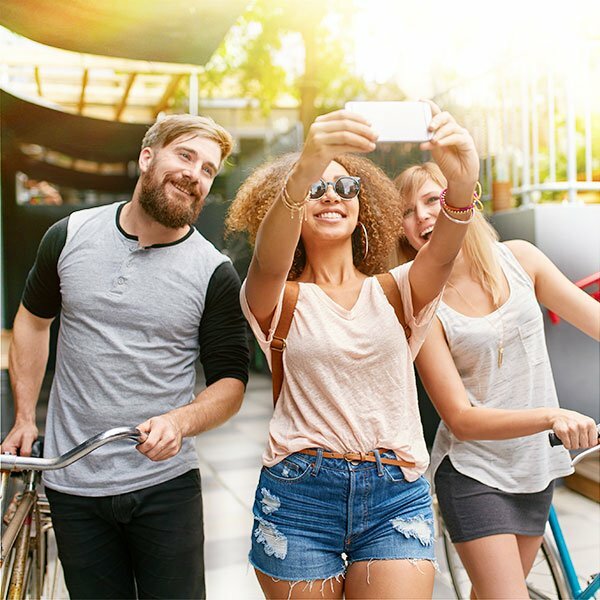 Bike paths, ample parking, bus routes, and plenty of features are just over a mile away from the UC Davis campus – UC Davis Student Housing at it’s best. We believe we offer the number one choice for off-campus student apartment rentals in Davis. Choose from one of three Davisville Management Company apartment complexes. It may seem a bit overwhelming to find Davis apartments for rent, but Davisville Management Company is ready to help with off-campus housing. Our three off-campus apartment complexes are a great choice for UC Davis students looking to move from the dorms. Aggie Square Apartments, Almondwood Apartments, and Fountain Circle Townhomes are masterfully crafted, provide a quality living space, offer a great monthly rental rate, and are all in close proximity to the UC Davis campus! Each of our Davis apartments for rent are designed with student living in mind; an atmosphere that is conducive for studying as well as socialization, and relaxation. UC Davis students living in our off-campus housing will also enjoy free high speed internet! Our BBQ areas, pools, clubhouses, computer labs, and fitness rooms are all designed for the active UCD students on the go. All the comforts UC Davis students need to feel at home so you can live your life, your way, in Davis, California! It is easy for UC Davis students to find the right apartment with just the floor plan with Davisville Management Company. With our three distinctive apartments complexes located an easy bicycle ride from campus, Aggie Square Apartments, Almondwood Apartments, and Fountain Circle Townhomes, we are able to offer a total of 15 different floor plans for comfortable student living. Choose from one-bedroom single-floor rental units to four-bedroom townhomes. With so many options, you should be able to find the right fit for you and your college friends. Proudly Sponsoring Organizations in Davis, CA. Looking for a place to live? Send us an email or give us a call. We can help you find that perfect Davis Apartment for Rent.